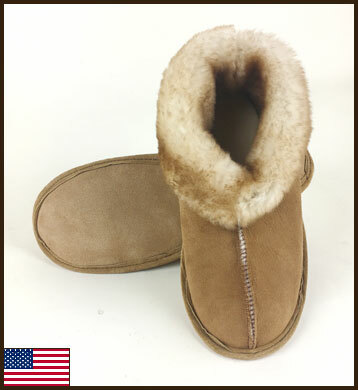 After many years, we have finally updated and improved the design of our classic All American Sheepskin Slippers! It's the same slipper you know and love, but with an updated look. The ultimate in softness, our shearling sheepskin slippers with suede leather soles are the favorite for our customers who are looking for the softest slippers available. Machine Washable.